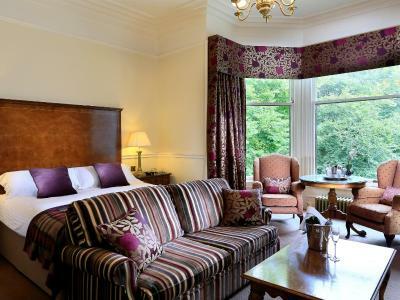 Lock in a great price for Macdonald Norwood Hall Hotel – rated 8.9 by recent guests! It was okay - communal areas were very traditional and old, grounds were very nice. Room was very spacious, provided a travel cot and a quiet location. The traditional architecture of the hotel! after checking with one of the staff I understood it’s a vintage house that has been transformed to hotel. All old stuff I was in love with, the fireplace, the walls and the colored glass. Pleasant staff made check-in and payment process run smoothly, and we were given a quiet room as there was a wedding reception on, which was thoughtful. The staff were all lovely. The grounds are serene and peaceful and the hotel itself full of obvious character. 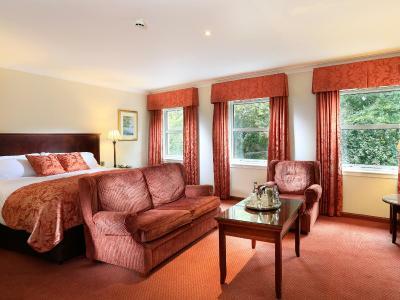 Lovely traditional country house hotel. 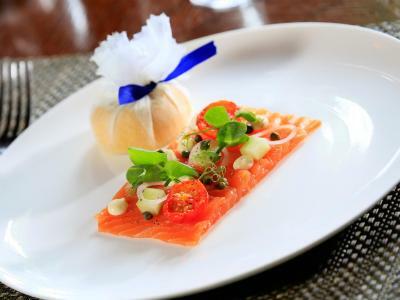 Staff are professional and friendly - feels like a luxury boutique hotel. You feel as though you have stepped back in time here. Romantic setting with gardens in every view, amazing wood details throughout and a wonderful restaurant and bar to make sure that you don’t want to leave. The rooms themselves are very modern, which was appreciated in 2018 and comfortable. Great full bathtub and strong shower. Definitely staying here again! The breakfast in general was cold. The bacon starting to go hard, eggs had solid yolks, in general I have tasted very many superior Full English breakfasts. Fine to have roasting hot plates but to hold cold food does not work! Macdonald Norwood Hall Hotel This rating is a reflection of how the property compares to the industry standard when it comes to price, facilities and services available. It's based on a self-evaluation by the property. Use this rating to help choose your stay! 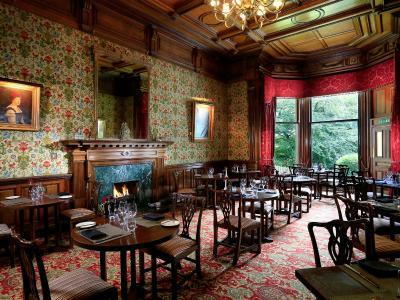 One of our top picks in Aberdeen.A country house hotel 10 minutes’ drive from Aberdeen city center, Macdonald Norwood Hall features log fires, wooded grounds and secluded gardens. 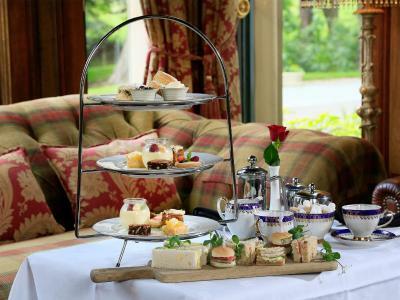 It serves award-winning cuisine and afternoon tea. 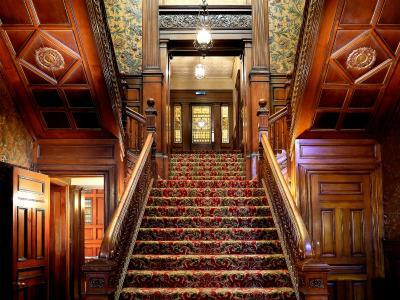 Macdonald Norwood Hall Hotel retains many of its original Victorian features including sweeping staircases and colonnaded entrances. The Library is open to guests and there are seating areas in the garden. The Tapestry Restaurant features fresh seafood from nearby ports and game from Highland estates. It also has an extensive wine list. 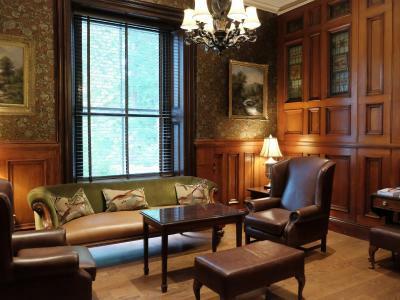 The Georgian Lounge serves a selection of malt whiskeys and light meals. 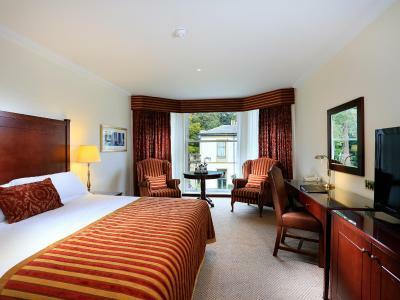 Rooms are decorated in a classic style and feature modern facilities including flat-screen TVs and WiFi access. Some rooms have work desks and walk-in showers. 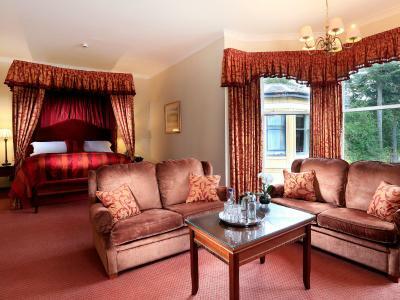 Macdonald Norwood Hall Hotel is located in the West End of Aberdeen, 20 minutes’ drive from Dyce Airport. Robert Gordon University is a 5-minute walk away and the University of Aberdeen is 5 miles away. 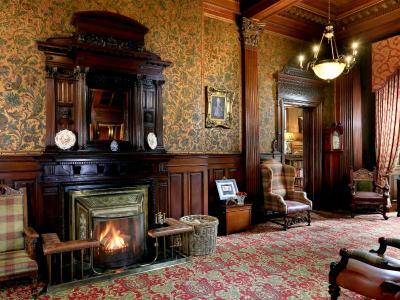 When would you like to stay at Macdonald Norwood Hall Hotel? This room features views of the Aberdeen countryside and additional workspace with a desk and tea/coffee making facilities. 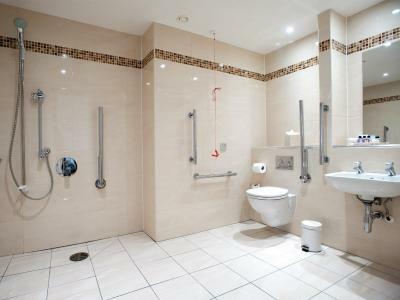 Additional amenities include ironing facilities and a shower and bath. The Feature King Room offers a lounge area with a 40-inch flat-screen TV. Additional amenities include a work desk with a telephone, complimentary bottled water and tea/coffee making facilities. The private bathrooms include Arran Aromatics toiletries and a shower and a bath. 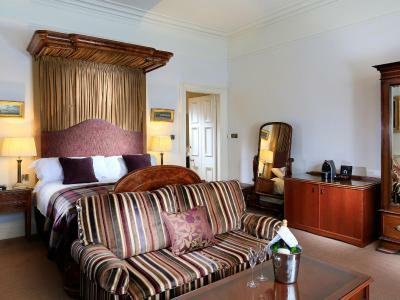 The Feature Suite is located in the original house and contains period features such as high ceilings and bay windows that overlook the hotel's grounds. Guests can enjoy the magazines and fresh flowers provided in the suite. Additional amenities include complimentary bottled water and Arran Aromatics toiletries. This room features views of the hotel's gardens. Additional amenities include a satellite TV, iron and ironing board, and tea/coffee making facilities. 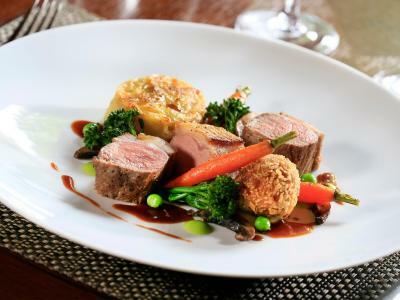 This room rate includes dinner taken from a specially selected main meal menu. Rate includes overnight accommodations, full Scottish Breakfast, and main course from the selected menu. House Rules Macdonald Norwood Hall Hotel takes special requests – add in the next step! Macdonald Norwood Hall Hotel accepts these cards and reserves the right to temporarily hold an amount prior to arrival. The towel rail in bathroom had a notice " This radiator can become VERY hot". It was cold the whole time. Our room was upgraded I think due to a wedding taking place. The room was great and the wedding didn’t affect us. The hotel was great as was the service from the staff. Windows werent opening so the room was really hot. We asked for a couple of things and they were brought almost immediately. Staff were friendly and accommodating. The view from of the front of the hotel as well as the drive is was gorgeous. The Interior was quirky and had a very nice homely feel about it. Thoroughly pleasant staff and a delicious evening meal. Description how to get there by public transport is completely wrong or at least too complicated at Booking.com - was quite hard to find. The low priced rooms are very small, and some are on the ground floor behind a brae so you have no view out. The corridor of the small room looks somehow run-down. 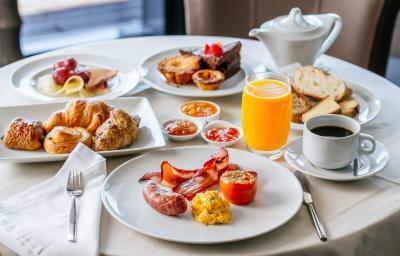 Marvellous breakfast - don't miss it!! Very friendly staff (especially Gosha from Poland who did everything to help me with a not working lamp - thank you for the nice talk we had! ), very good and professional service, no problem to change the room from basement to 1st floor. Very special, very scottish Environment. Great decoration, especially the wall papers! !